The statue is perfect and the biggest naysayer we had when we started this project cannot stop telling everyone about how great it is. It is exactly what we wanted and actually brought tears to one of our departed firefighters wife when she saw it. When looking at his human sized firefighters it is recognized immediately how important our firefighters are, how dedicated, and how much they risk in the course of their duty. 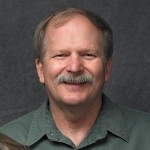 Paul is a well trained artist and renders figures with a maximum level of believability. Our numerous works by Paul are a testament to his artistic ability and attention to detail. Work is second to none. 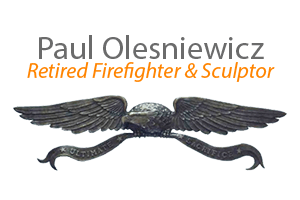 Paul's artwork captures the real life experiences of firefighting. ... I am left with a sense of ease when I walk away from art like this. 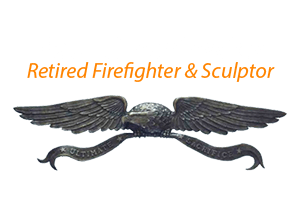 It is fitting and proper that works such as Paul's tear at our heartstrings, for there is no greater love than the fire service. We have completed over 40+ bronze sculptures across the U.S. and in Canada. Special request for your department? Call us! 10:00AM to 8:00PM, Mountain Standard Time (Arizona). Set your mind at ease and enjoy a free consult with our lead sculptor. Large or Life Size (Great for Monuments & Memorials)Medium (2/3 Life Size or Small Monuments)Small (Ideal for a trophy, retirement gift, or office)I'm not quite sure yet! Yes, please have Paul call me! Please EMAIL me pricing information.